In Japanese, “windsurfing” is indeed spelled with a “う”, but with katakana—> ウインドサーフィン, and if romanized, would look like this: uindo saーfu(tiny “i”)n.
Kamakura is a great place to come to enjoy water sports. Year round, you’ll see surfers (regardless of whether the waves are any good), SUP-ers, kayakers, boaters, and windsurfers; and during warmer months, swimmers, and people enjoying personal water crafts like Sea-Doos. 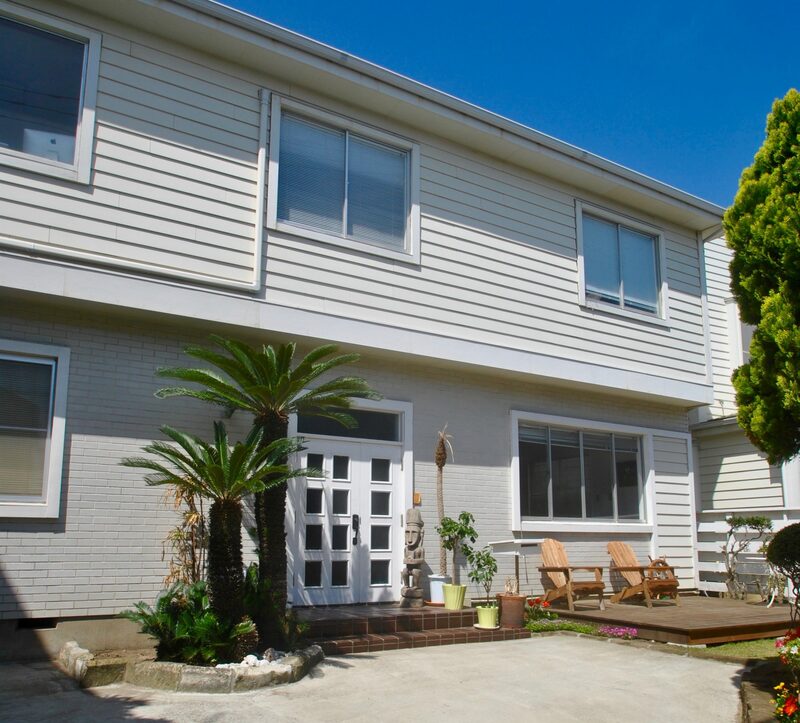 A handful or so of rental shops are within walking distance of Yuigahama beach, from the Zaimokuza side to the Sakanoshita side and beyond towards Shichirigahama and Enoshima, and offer lessons. If you’ve got the time and inclination, Kamakura offers visitors the chance to experience more than just history. Make your trip an overnighter (or more! ), and enjoy a wide variety of activities. I almost chose “Enoshima”, but that would have been cheating, since Enoshima isn’t actually in Kamakura (though it’s a major destination for visitors to the city). That would also have been selling Kamakura short, since one of its most important temples begins with an え: 円覚寺 (Engaku-ji). Actually, I might have to revisit this kana, as there are plenty more え places and things connected to the city. Located in Kita-Kamakura, right by the station there, Engaku-ji is a Zen temple, and the second of Kamakura’s five great Zen temples. It’s one of the larger temples in the area, and deserves a nice, slow stroll rather than a dash through. The temple is notable for its Great Bell (a National Treasure), and for the zazen sessions it holds. It also has a good bon festival in mid-August. Festival: Bon Odori is late August. Other events can be found on the Engaku-ji event calendar (Japanese only).